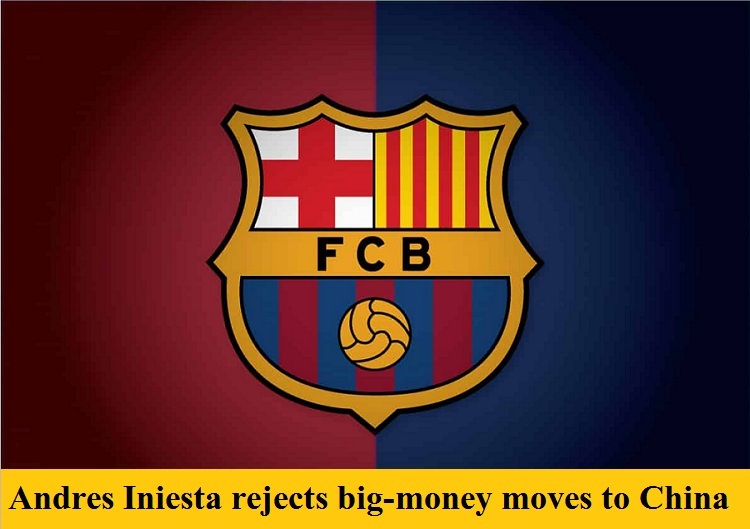 Barcelona captain and midfield maestro Andre Iniesta has turned down a number of big-money moves to the Chinese Super League, despite offers which would have seen his current salary increased many times over. The 33-year old Spaniard who scored the goal that won the 2010 World Cup for his country in South Africa, has attracted interest from a number of Chinese clubs, but has rejected them all, preferring instead to see out his career with Barcelona, having signed a new contract with the Catalans at the end of October. Iniesta has won 30 trophies with Barcelona including 4 Champions Leagues, 8 La Liga titles, and 5 Copa Del Reys and is eager to add more, especially as his team currently holds a five point lead at the top of the Spanish League. He is also keen to add to his haul of 123 international caps by playing for Spain in next year’s World Cup in Russia.